True-crime documentaries are designed to provoke and horrify. 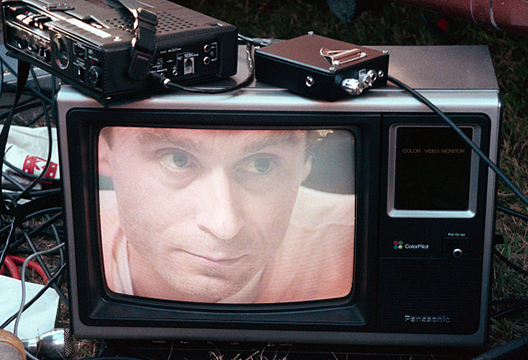 So much so, that when Netflix released its latest four-part docuseries, Conversations with a Killer: The Ted Bundy Tapes, it warned viewers – or rather, women – ‘don’t watch it alone’. The point of the new Bundy docuseries seems to be a pure indulgence into the fascination of ‘the mind of a sociopath’. Whilst there is nothing necessarily wrong with this approach purely as an entertainment vehicle, I do feel, particularly from the point of view of psychology, that this platform could have been used more effectively to critically explore the gender-based nature of Bundy’s crimes. The Ted Bundy Tapes may be well written and entertaining. However, the critical point for me is that the docuseries does not allow itself to be educated from recent scholarly research, public discussion, and societal changes that have explored, often at immense length, the ways in which women are targeted and victimised in these kinds of crimes. Instead, the docuseries covers the ‘atrocities’ of Bundy’s crimes through a ‘celebrity bio’-esque four-part portrait of the man. We hear, repeatedly, of his good looks, charm, and boyish wit in a way that is engineered to shock and horrify. We don’t hear, despite the many psychologists involved in the docuseries, the psychology behind why and how women are victimised in this way. We also don’t get any insights into how the criminal justice system has responded to these events. This leaves a major gap in the narrative and makes me question how the retelling of these events fits within a contemporary context. Violence against women is on the increase. The World Health Organisation reported in 2013 that 1 in 3 women worldwide will experience physical and/or sexual violence. Netflix cannot position itself outside of these very real, very current issues. Whilst Bundy’s crimes are horrific, there is nothing within the commentary of the documentary that offers any kind of solace, sympathy, or optimism. There are no ‘lessons learned’, no insightful commentary, no comforting statistics. Indeed, as a young, female viewer, it paints a bleak, intensely unsettling picture. Which leads me to question, what was the point of sharing these tapes with a modern audience? We are advised not to ‘watch it alone’. Many female commentators on Twitter have reported a heightened sense of fear and discomfort, despite being 30 years (to the day) since Bundy’s execution. Because the truth is, as both the research and statistics show, that violence against women is omnipresent. What is this documentary, if not a patent reminder of the vulnerability of women? In an age of hyperawareness of sexual and physical violence against women, I can’t help but wonder, what was it trying to achieve? Should Netflix be reserved for fascinating (if not troubling) tales, carrying no real responsibility for how it fits within the cultural zeitgeist? Or rather, should stories of this kind educate rather than simply entertain? - Madeleine Pownall is a postgraduate student at the University of Leeds, and Associate Editor for our 'Voices In Psychology' programme.